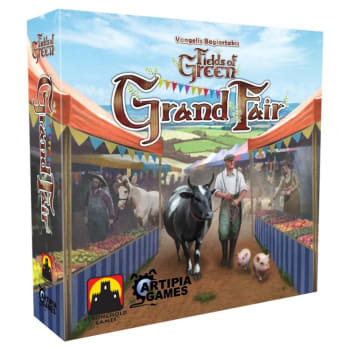 Fields of Green: Grand Fair is an expansion for great card-drafting game, Fields of Green. It introduces the Grand Fair Attractions which lets the players interact with the Grand Fair in many new and exciting ways! It also includes additional locations, objectives, components for a 5th player and rules and material for solo game. Come visit the Grand Fair, enjoy its attractions and get to experience the life of a farmer to the fullest!